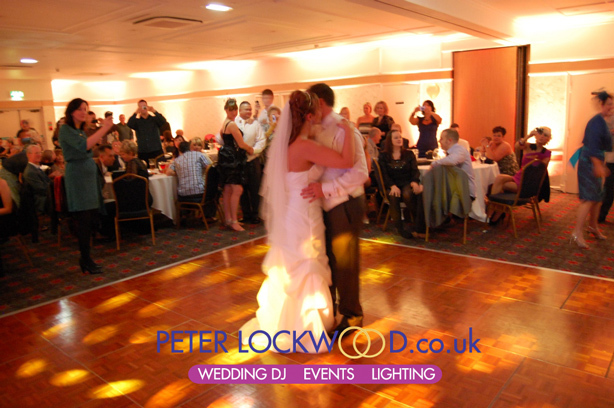 The Broadfield Hotel in Rochdale is part of the Best Western group. 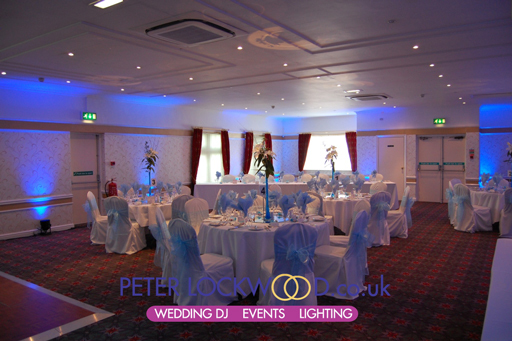 The main function room is called the Nightingale Suite We have provided UpLighting for weddings in this room many times. 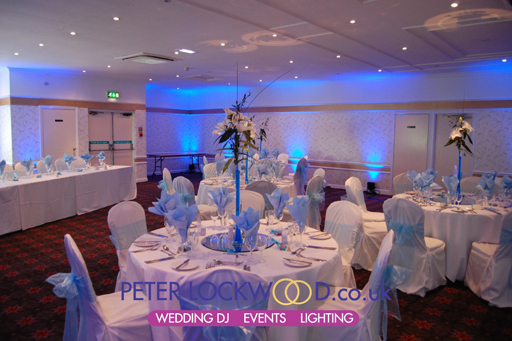 You can pick almost any colour for your wedding in the Broadfield Hotel, along with backdrops for your top table or ceremony. 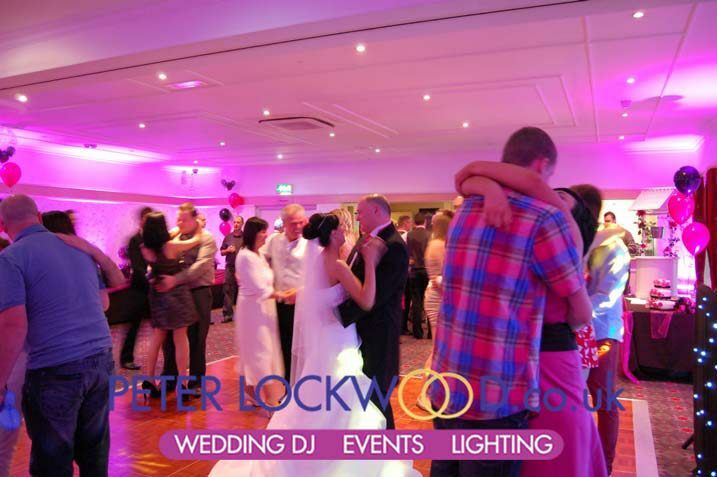 Please note I am a Independent supplier and not connected to the venue or the venues venue dressing firm. 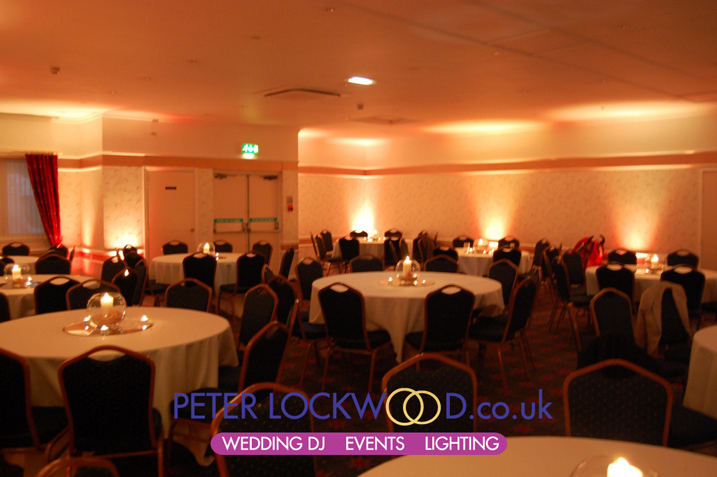 UpLighting in the Nightingale Suite at Broadfield Hotel transforms the function room. 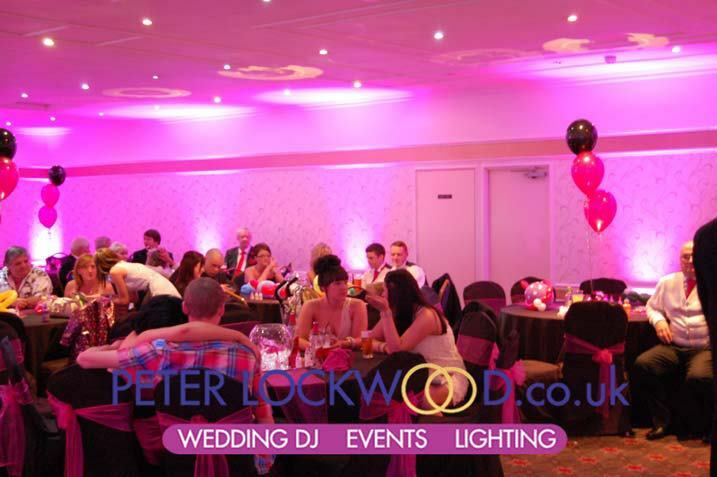 We can also provide backdrops and drapes to make the top table look nicer.